this post is full of bits and pieces as I have some very exciting news to share with you all! First of all, I wrote a guest post for becomegorgeous.com. If you like the nails in the photo and want to learn how I made them head on to my Cat and Paws Halloween nail art tutorial. The other piece of news I have is even more exciting as I am going to be teaching some seminars in my city. The first is about how to sell and market your handmade crafts online. I am going to be teaching the whole process from setting up a paypal account to finding the right online venue to sell your crafts, including details on how to photograph, tag and promote your creations in social media. 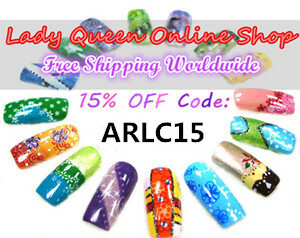 The second is about nail art and frankening. I will demonstrate easy nail art techniques using things we already have at home and how we can transform old nail polishes into fun new ones using all sorts of sparkly stuff. Hopes your seminar will be full of success! I hope everything is going to be perfect! Nicely done. I love cat designs! The Halloween mani is super cute! Good luck with the seminars and have fun! 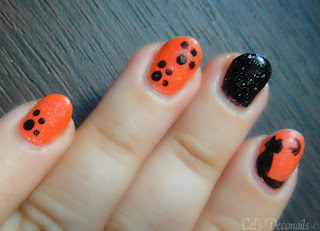 LOve the Halloween nail art :) and congrats on the seminars!! I hope they go well, i'm sure you'll be great! τελεια!καλη αρχη και καθε επιτυχια και στα σεμιναρια! ps: good luck and contrats for your seminars! !